There have been rumours that the prime minister, who is a Saudi citizen and grew up in the kingdom, had been detained along with dozens of Saudis caught up in an arrest campaign that Riyadh says is part of its anti-corruption efforts. Beyrouth, Lebanon: Lebanon's President Michel Aoun on Wednesday accused Saudi Arabia of having "detained" Prime Minister Saad Hariri, who announced his resignation in a statement from the kingdom earlier this month. 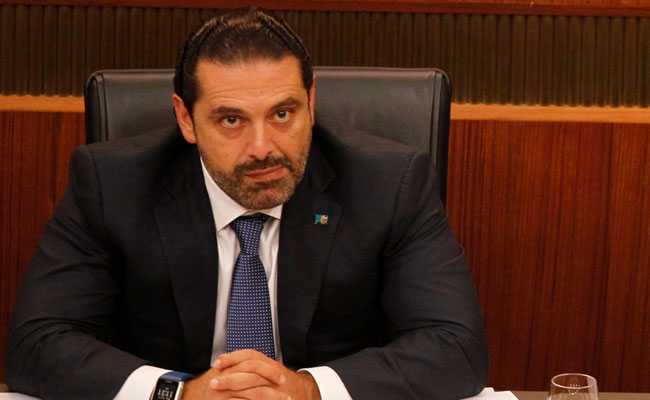 Speculation has swirled about the circumstances of Hariri's resignation since his surprise announcement on November 4, in a statement read on Saudi Arabia's Al-Arabiya television station. Hariri, who has long been close to Saudi authorities, has sought to quell the rumours, insisting in an interview with his party's television station over the weekend that he had freedom of movement and would return to Lebanon in the coming days. But he has yet to show any signs of coming home, and statements from France and other countries have fuelled speculation that he is being held in Saudi Arabia. On Tuesday, in his first tweet in several days, Hariri once again denied the rumours he was being detained. "Guys, I am perfectly fine, and God willing I will return in the coming days. Let's calm down," he wrote. Aoun has yet to officially accept Hariri's resignation, and has said he will not do so before meeting with the premier in person in Lebanon. "No decision can be made on a resignation from abroad," he reiterated in a tweet on the presidency's account on Wednesday. "He should return to Lebanon to present his resignation or withdraw it, or to discuss the reasons for it and how to address them," Aoun added. "We cannot extend this wait and lose time, we cannot stop state affairs," he added. He sought however to calm fears about Lebanon's stability in the face of the political crisis. "Do not be afraid, whether economically, financially or in terms of security," he wrote. "The country is safe and the financial markets are functioning properly."